Criminal False Claims Act Defense Attorneys - Oberheiden, P.C. Every client under federal investigation approaches our law firm with one priority request: to avoid criminal charges. The attorneys at Oberheiden, P.C. have a long and distinct track record of avoiding criminal charges in federal healthcare investigations, including those involving alleged violations of the False Claims Act (FCA). Because the federal False Claims Act contains a civil and a criminal prosecution option, it is imperative to repudiate criminal charges by implementing a comprehensive and effective defense strategy from the moment a client learns of the audit, subpoena, or investigation. Our Healthcare Fraud Defense Group is headed by Dr. Nick Oberheiden. Dr. Nick Oberheiden is a healthcare fraud defense attorney and managing principal of Oberheiden, P.C.. 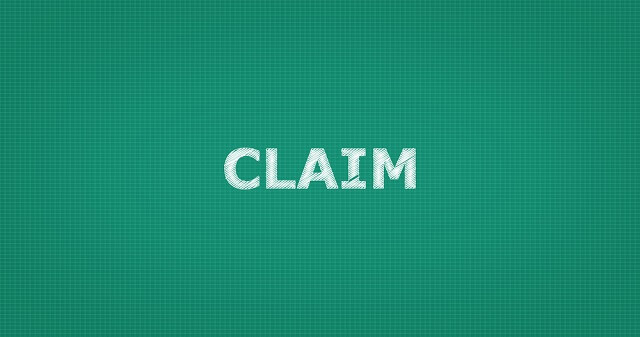 While the majority of False Claims Act cases are brought under the civil provision of the False Claims Act (31 U.S.C. § 3729 et seq. ), federal law enforcement also utilizes a criminal provision of the False Claims Act statute (18 U.S.C. § 287). Under the criminal FCA, individuals found guilty of knowingly presenting a false claim for payment to any government agency or official may be sentenced to a maximum prison sentence of 5 years in additional to criminal fines for each submitted claim. Whether a False Claims Act investigation is civil or criminal is often not evident at the beginning of a case. Importantly, the mere fact that a prosecutor or federal law enforcement agencies are involved in the investigation does not automatically mean that the investigation is criminal. About a third of all federal prosecutors only work on civil cases and the involvement of a U.S. Attorney’s Office has no bearing on the nature of the investigation. Experienced attorneys, however, are able to draw conclusions about the investigation when they identify the prosecutor on the case. If he or she works in the civil division, there is room for belief that the case is civil, too. Additionally, in order to make first assessments about the case, we look at some of the following factors to classify the case and to decipher the government’s goals. Who Are the Prosecutors on the Case? What Demands Are Being Made? How Has Our Client Learned of an Investigation? What Government Agency is Involved? Who Else Was Contacted by the Government? Using these factors to assess our client’s exposure, we are usually able to determine the nature of an investigation at its outset. Early detection of the government’s intent helps us to level the playing field between our client and the investigators, and it also allows us to develop and implement a defensive strategy to avoid or mitigate any potential charges against our clients. Therefore, the sooner we are involved in the case, the more likely we will be able to help to avoid criminal charges. The very best way to avoid criminal charges in connection with a False Claims Act investigation is to engage experienced healthcare fraud defense attorneys early to avoid mistakes that turn a civil case into a criminal matter. From our experience as federal healthcare prosecutors we have seen how a poorly handled defense in a civil False Claims Act can cause attention and appetite to refer the case to a criminal prosecutor. In deed, only in extremely rare scenarios does a False Claims Act investigation begin as a criminal matter, however, civil investigations can transform into criminal prosecutions. Even if a False Claims Act investigation is prosecuted criminally, it is important to remember that the U.S. Constitution puts a high burden of proof on the government before a judge or a jury could find a defendant guilty of healthcare fraud. In order to convict someone of criminally violating the False Claims Act or committing criminal healthcare fraud pursuant to 18 U.S.C. 1347, the government must prove that the targeted business presented claims to the government that they knew contained false or fraudulent information. In other words, an individual who inadvertently submits a claim that contains clerical errors does not violate the criminal FCA because that person did not know that the claim contained false information. Oftentimes, the decision to criminally charge someone for submitting false claims to the government boils down to whether the prosecutors believe the person knew of the inaccuracies on the claim when it was submitted. Oberheiden, P.C. has a long track record of convincing the government and courts that mistakes by clients, to the extent they occurred, are offspring of negligence and do not justify criminal prosecution. Unqualified staff, delegation, lack of supervision, overwhelmed billing personnel all may create situations whereby a business submits inaccurate claims to the government. Oberheiden, P.C. has over and over demonstrated that these mistakes occurred without criminal intent. Our healthcare fraud defense record involves dozens of False Claims Act, Anti-Kickback, Medicare Fraud, Tricare Fraud, Stark Law, and DOL representations spanning U.S. Attorney’s Offices and courts from San Francisco to Miami and from Los Angeles to New York. The attorneys of Oberheiden, P.C. have recently accomplished the following outcomes on behalf of their clients. If you are being investigated for violating the False Claims Act, you should contact the experienced attorneys at Oberheiden, P.C.. Get a free and confidential consultation and benefit from talking to former federal and state prosecutors and experienced litigators.